Control systems must ensure in real-world applications good steady-state and dynamic performance. This is the reason why they need high quality servosystems to perform the tasks of stabilization and tracking, and to deal with the problems created by the parameter variance or the nonlinearities. A way to fulfill these tasks is to employ fuzzy control. The development of fuzzy control systems is usually performed by heuristic means, incorporating human skills, but the drawback is in the lack of general-purpose development methods. A major problem, which follows from this way of developing fuzzy controllers, is the analysis of the structural properties of the control system, such as stability, controllability and robustness. This is the reason for the first aim of the chapter, to present stability analysis methods dedicated to fuzzy control systems for servo-systems: the state-space approach, the use of Popov’s hyperstability theory, the circle criterion and the harmonic balance method. The second aim of the chapter is to perform the sensitivity analysis of fuzzy control systems with respect to the parametric variations of the controlled plant for a class of servo-systems based on the construction of sensitivity models; both of them, the stability and sensitivity analysis, provide useful information to the development of fuzzy control systems. 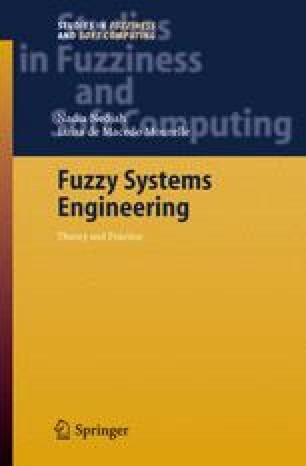 The presented case studies concerning fuzzy controlled servo-systems validate the presented methods. Since some of the case studies deal with several fuzzy controllers, there are derived useful development conditions for these ones.